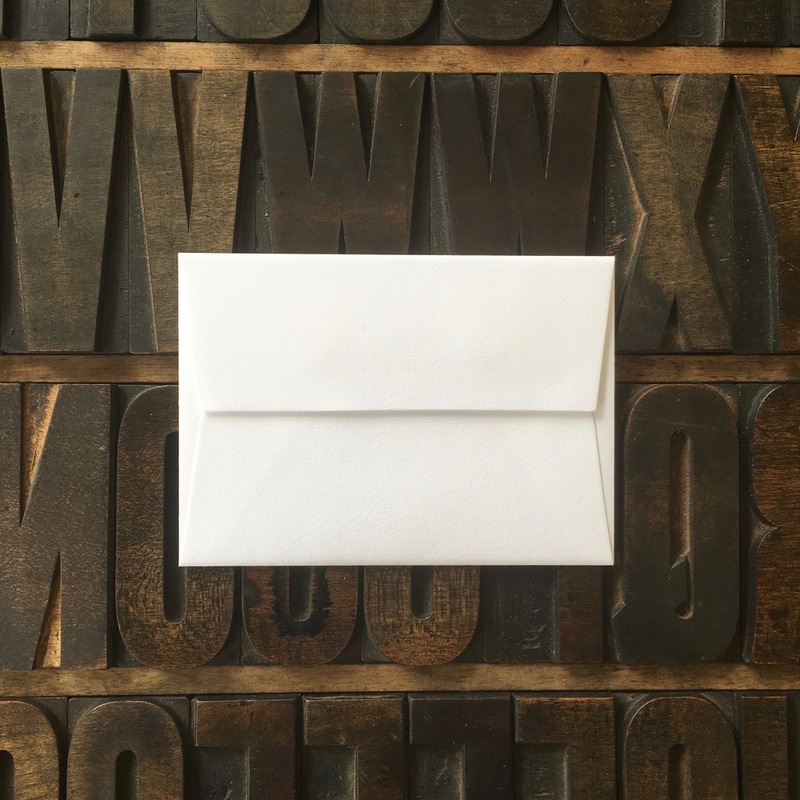 We carry a range of beautiful envelopes to match our letterpress papers. You're welcome to purchase these along with your invitations, or on their own - just drop us a line and let us know what you're after. 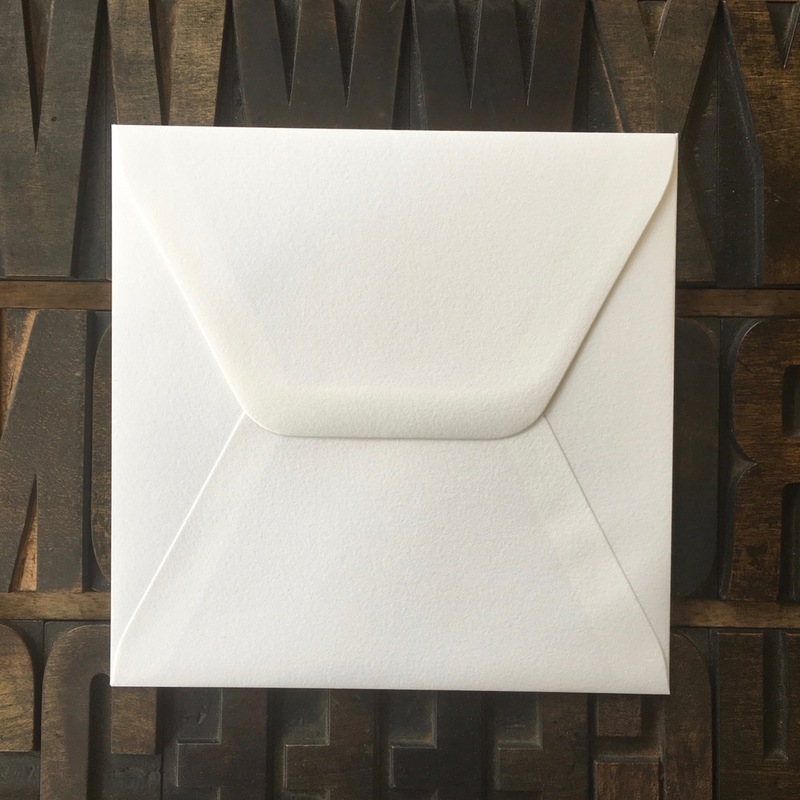 You can letterpress your envelopes on the face, the back or the flap with a motif or your return address to personalise your stationery. When designing your wedding invitations please consider your envelope choice and check dimensions before signing off on your artwork. 4-bar (130 x 90mm) with square flap for card size 125 x 85mm. US A6 (121 x 166mm) with square flap for card size 160 x 115mm. US A7 (134 x 185mm) with square flap for card size 175 x 125mm. US A9 (146 x 220mm) with square flap for card size 215 x 140mm. Small Square (140mm sq) with square flap for card size 135mm sq. Mid Square (165mm sq) with slightly round pointed flap for card size 155mm sq. Only available in Pearl White. Large Square (178mm sq) with pointed flap for card size 170mm sq. #10 Policy (241 x 105mm) with rounded square for card size 230 x 100mm. Baronial Grey C5 (114 x 162mm) for card size 105 x 148mm. With pointed flap. To match grey Gmund card. Only available in grey. Baronial Grey C6 (162 x 229mm) for card size 148 x 210mm. With pointed flap. To match grey Gmund card. Only available in grey. DLE (220 x 110mm) for card size 210mm x 100mm. Bright white, pearl white and cream. Kraft C5 (114 x 162mm) for card size 105 x 148mm. Kraft C6 (162 x 229mm) for card size 148 x 210mm.